According to the general theory of relativity, a clock in a gravitational field will move so as to spend a maximum of its own time. 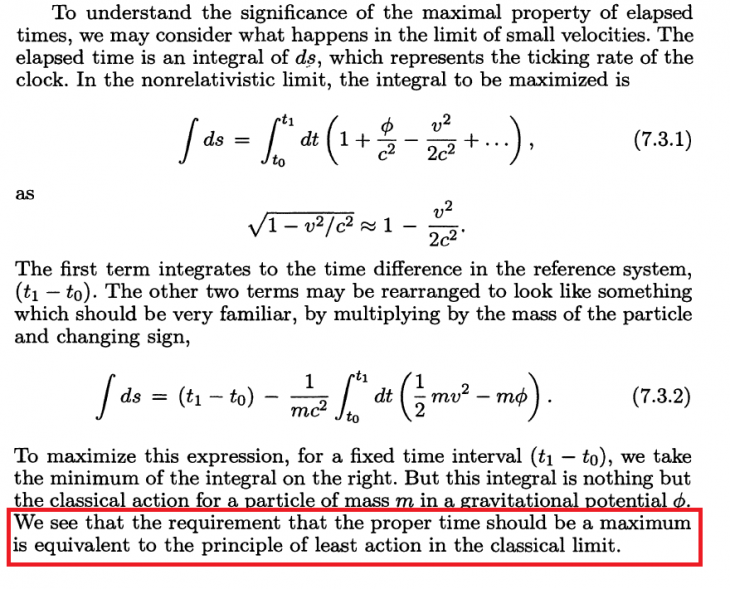 So, according to Fermat’s principle (it underlies the principle of least action), any object, including a clock, moves in the gravitational field from one point to another so as to spend a minimum of its own time. Here everything is clear. However, according to the general theory of relativity, a clock in a gravitational field will move so as to spend a maximum of its own time. Really no one sees a contradiction in this?! This is not a secondary conclusion of the general theory of relativity, it is one of the main conclusions of this theory! 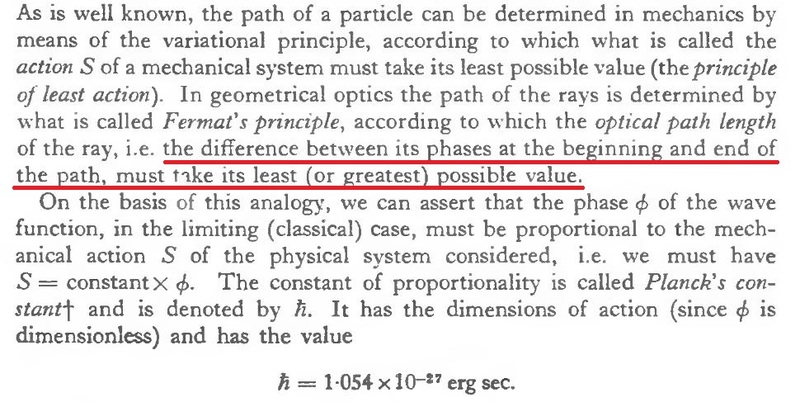 Richard Feynman analyzes this conclusion in his lectures on gravity and that’s what he writes. See on the figure above (it is a quote from Feynman lectures on gravitation). In this quote it is stated (quite rightly!) that the action is proportional to the phase, and the phase difference must be minimal! How can the minimum phase difference correspond to the maximum time? !